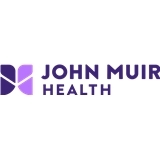 John Muir Health - San Pablo Family Medicine (San Pablo) - Book Appointment Online! I was very worried about meeting a new doctor, as I have a long and complex medical history. Dr. Ascuncion was very easy to talk with, very professional and I look forward to a long and beneficial relationship with him as my primary caregiver.